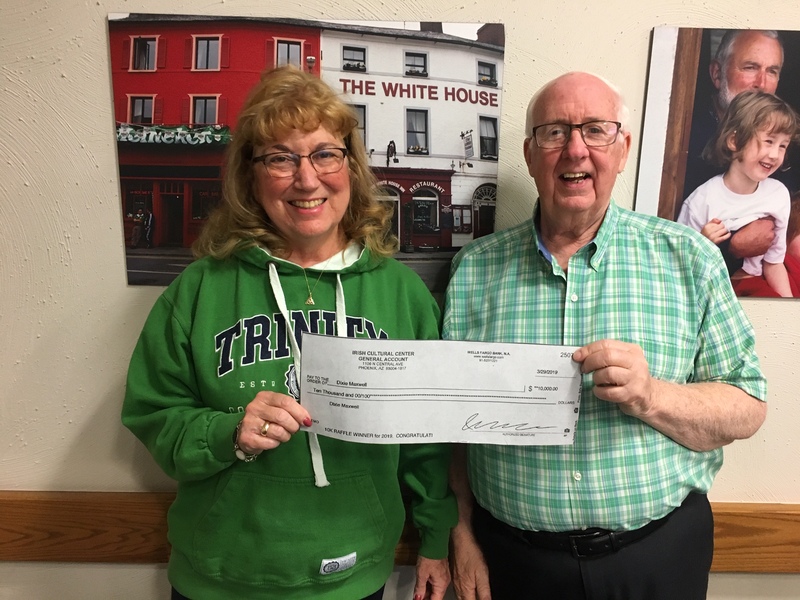 Irish Cultural Center & McClelland Library $10K Drawing! 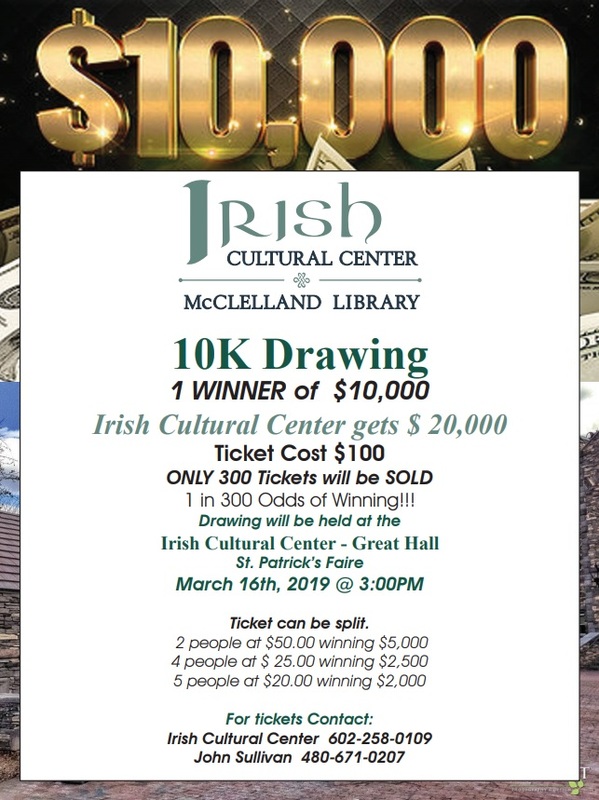 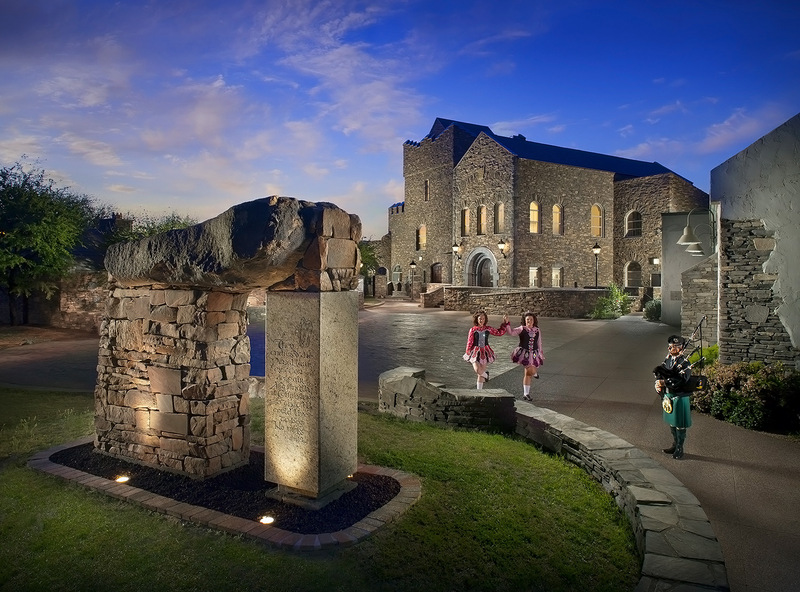 We’re excited to announce the winner of The Irish Cultural Center & McClelland Library’s first ever $10K Drawing! 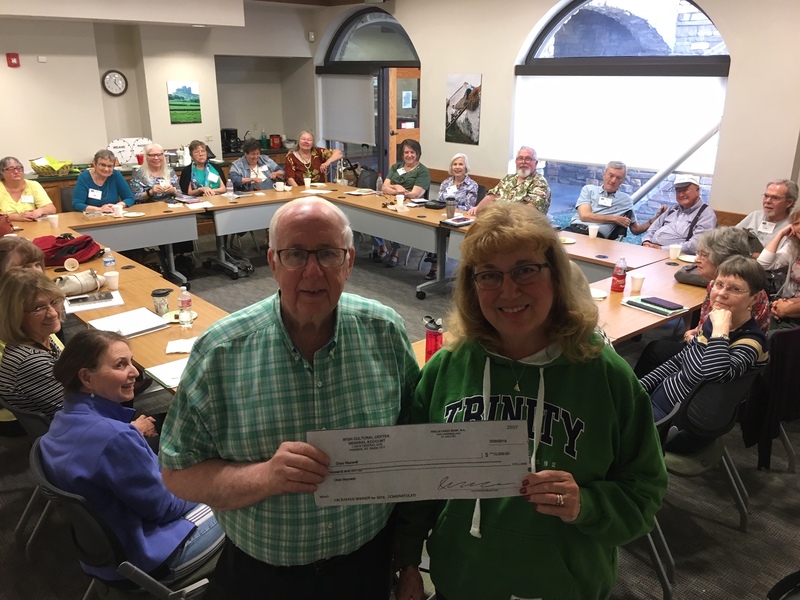 10K raffle coordinator Jack Sullivan shown with our winner, Dixie M., a regular member of the book discussion group.